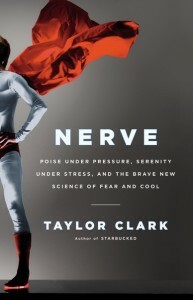 Thanks to Hatchette Book Group, we recently had the chance to review NERVE by Taylor Clark. What we thought: I love the humorous way Taylor Clark writes about such a serious topic. He really knows how to entertain and educate his audience at the same time. This book was an easy and fun read and I actually learned a few things about fear along the way. ABCD Diaries gives Nerve an A+! Buy It: Find this book at your favorite bookseller!